The Lonsdale Mex Pro fight gloves ensure maximum flexibility and wrist comfort thanks to the premium Mexican leather and feature custom horsehair and foam blend providing optimal power transfer. They offer a classic laced closure to guarantee a secure fit and come in a black colour. These “punchers” gloves of choice are handcrafted in Mexico in a traditional style to deliver excellent quality. 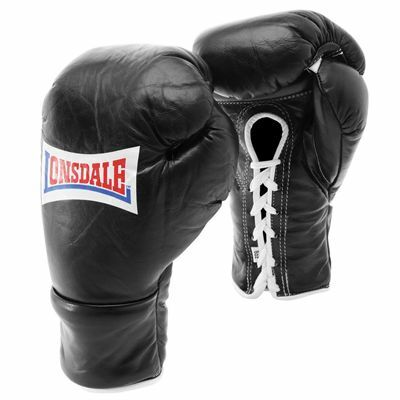 for submitting product review about Lonsdale Mex Pro Fight Gloves.